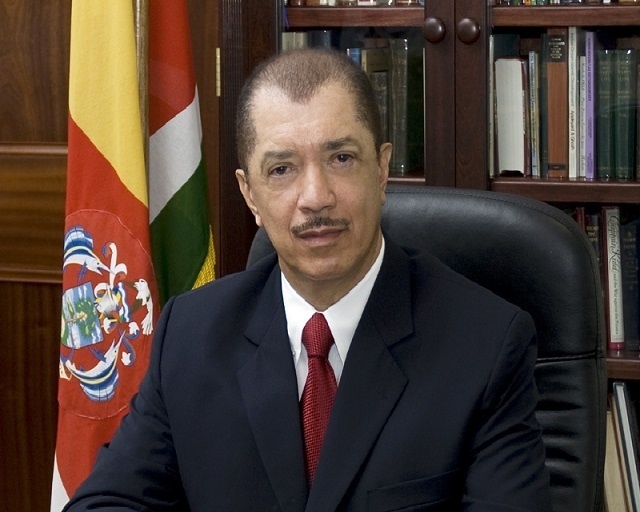 (Seychelles News Agency) - The former President of Seychelles, James Michel, has been admitted as a full member of the World Leadership Alliance Club de Madrid, a press communique from his office said on Wednesday. In a letter formally welcoming Michel to the club, the group’s leader, Vaira Vike-Freiberga, who was the former President of Latvia, thanked him for accepting the invitation to join the organisation. Club de Madrid is the world’s largest forum of democratically elected former Presidents and Prime Ministers committed to sharing their experience in government and to overcome the challenges of leading and decision-making in contemporary politics worldwide. The club has members from more than 70 countries. The former President “has contributed, towards advancing democratic principles and practices, the development and the well-being of the Seychellois people and that of the other nations, especially by being a voice for small island developing states,” added the communique. Michel views his membership in this prestigious organisation as yet another opportunity to share and build on some initiatives he took during his tenure of office. Michel had been at the helm of the Seychelles' government since 2004, when the late President France Albert Rene, who had been in power for 27 years, handed over the presidency. He stepped down on October 16 in 2016, a month after his political party, Parti Lepep, lost the majority seats in the National Assembly in the legislative elections. The former president, who is the executive chairman of the James Michel Foundation, is recognised as one of the pioneers of the Blue Economy. In 2015, during his presidency, he established a Blue Economy Research Institute in association with the University of Seychelles. Soon after, the Seychelles’ government embarked on plans for a roadmap for the Blue Economy, with support from the Commonwealth Secretariat. His candidacy to the Club de Madrid was actively supported by the former presidents Cassam Uteem of Mauritius, Bill Clinton of the United States of America, and the former Secretary General of the United Nations, Ban Ki-Moon. The Club de Madrid advocates for a ‘democracy that delivers’ and works in partnership with other organisations and governments, which shares its objectives. The club also works with a broad network of international experts and practitioners, towards addressing issues of global concern such as intolerance, violent extremism, climate change and social cohesion from a democratic perspective.